2017 is closing its chapter. How was it for you? For a home Mum, it was probably another great year of watching the kids grow, learn and mature. This year, I seem to have struggled much more with sibling rivalry. There were countless fights and conflicts between the older two. I've no idea what is happening, all the tiffs are driving me up to the wall. Friends and experienced parents often tell me it's only natural! But it's a whole new story when you see and spend time with the kids the moment they are off school and unite with each other. You see through every breeze to storm. Not that I expect some perfect harmony, but it just gets too crazy when I witness their zero tolerance towards each other. In midst, I've mastered the art of ignorance. Ignore the little things, ignore the slightest annoyance, give them time to resolve before intervention, take privileges away and even go on individual dates. Tolerance is futile, it didn't get me much rewards. This sibling rivalry can get so intense that I often feel too much time is spent negotiating, breaking up fights and disciplining. It's time wasted which can be used for other quality matters. I recalled they were easier when younger. Maybe, it was the addition of another sibling, which possibly means less time with them. And honestly, I've been trying really hard to balance and rope the man in, to mend the gaps. Yet there's just this much we can do. 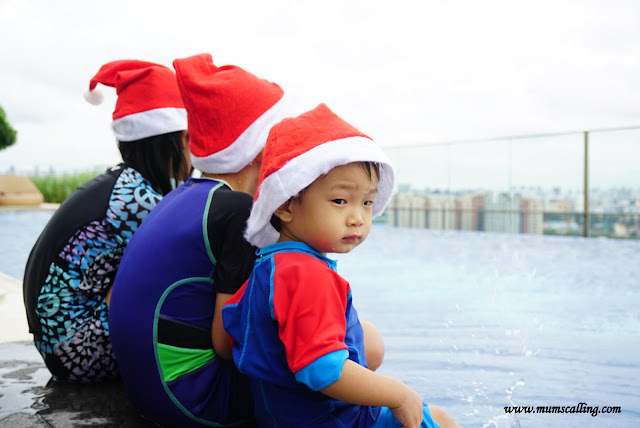 As I look back the year, life with 3 kids had been excitingly challenging. Families with 4 or more kids, I wonder how their zone is like. I struggled with coping, I struggled to give each child attention and somehow, the least understanding youngest usually wins the battle of time. It is however with consensus that he being the cutest, gets the sweetest deal. 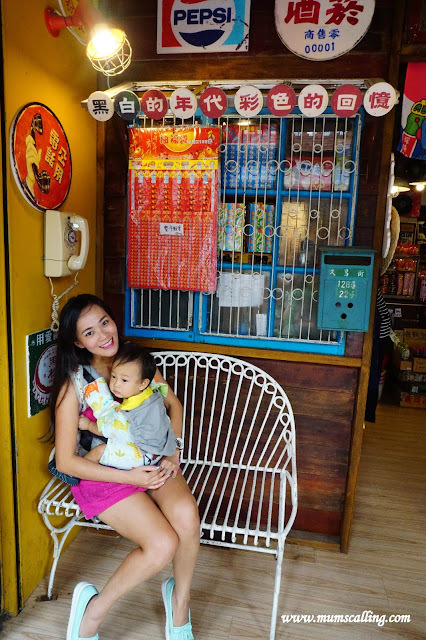 As a home Mum, I've no career goals, I've no salary or bonus to look forward to, I can only continue working in my called role of teaching the kids best values, build memorable and beautiful childhood for as long as I can. For the man, as much as I can give him the peace of mind at work. I do have fears, I fear that their maturity outgrows my thoughts some day, I fear that their independence draws them too quickly away from me, and I fear they do not grow up the way I had wanted them to. The hard truth is, our kids will really have to leave our nest to build their own families. What will become of me and my gradually empty nest?! In the new year, I will have to continue making peace and do my best in refereeing sibling conflicts. I strive for a better routine and a greater balance. With the youngest turning two next year, it will be a whole new excitement. I've never thought it gets easier because sending him to school is far from thought, I'm only bracing myself for more busy times ahead. Number 2, Jare is hopping onto primary 1 next year! A mixed of feelings I get again, the sea of emotions that I struggle with having a kid out of preschool. But yay! To the savings we get from fees. Mainstream primary school is so much more affordable, won't you agree?!! Sometimes the kids are more ready than we are. Though I felt so much lack in getting him ready for P1, the anxious me has mellowed much with this being our second. I just had to be reminded on our ways of easing into P1 for big sister. The eldest, Jazz is stepping into P3 next year. I will have to say I'm more anxious about that. Still holding back to our no academic enrichment route, I hope she will be able to cope with tougher syllabus, and with the addition of Science. It's impossible to say they learn through play at this age, but igniting the hunger for learning is one great way to inspire. Year of 2017 wasn't like a bed of roses. Bad things and Good things make up the year. It is always easy to be Thankful for beautiful things, but tough trying to see beauty out of the bad. Over dwelling in the bad doesn't make us any better. In times of tears and in the very congested mind, I look at family with a different perspective. The moments of family presence, hugs, kisses and cuddles are just so magical! It melts woes almost instantly. Thankful that we are all moving onto another new year! Not so much about the aging, but proclaiming the glorious and better days ahead! This is my story to share. I hope your year has been well and may it get even better in the many more years ahead. Have a Blessed New Year! 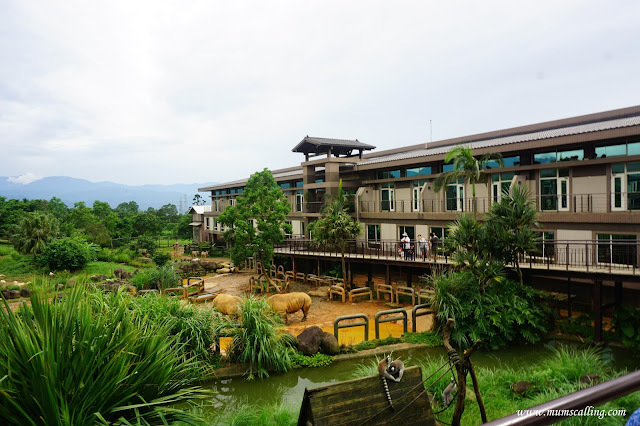 After Taichung, we moved on to Leofoo resort. We took the train to Hsin Chu and cab over to Leofoo resort. We didn't do the Leofoo village theme park, but only a night stay at the resort. For that, I guess it didn't really excite us much. We only wanted the thrill of staying one night near the 'wild'. 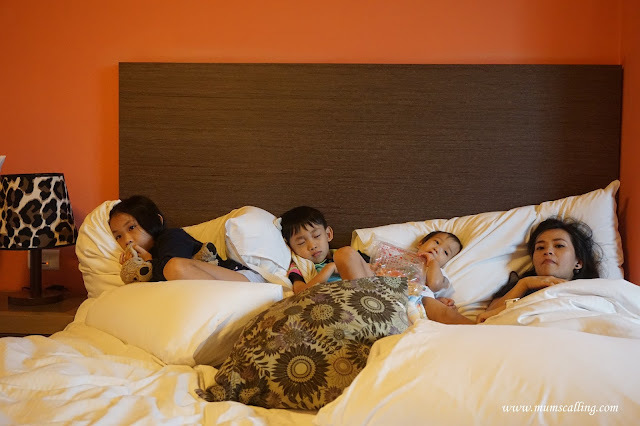 No doubt the kids were very excited they were going to sleep near animals, but the euphoria didn't last long before we found out it was an over priced stay with nothing much to do. We were allocated a room in the Zebra wing where we had occasional visits from the giraffe and Zebra. 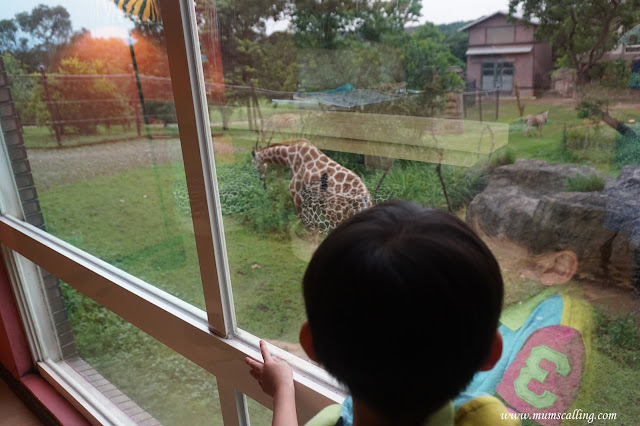 Other than viewing the animals through our window, we were mostly lazing around till dinner time. The resort was rather secluded, venturing out of the resort wasn't an option in our mind. It wasn't too bad when we only had a night in there. 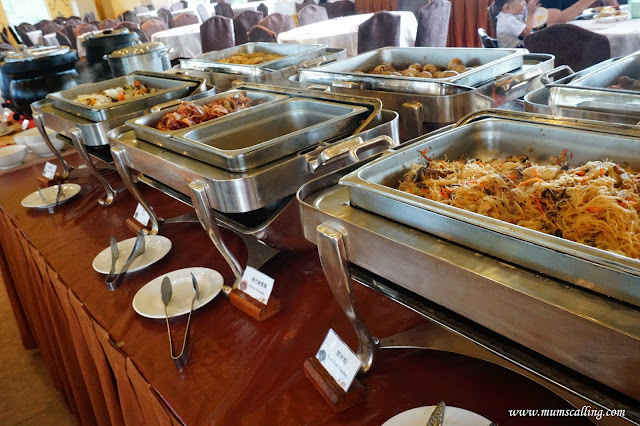 We settled our meals within at additional charges, which breakfast buffet was surprisingly good! Nice spread and great for kids. Within our less than 24 hours stay, we had to fill the kids with whatever resort activities available before it really gets too bored. Activities were much sparsely scheduled, and there were more to do in the morning than afternoon. Most activities were at a fee. 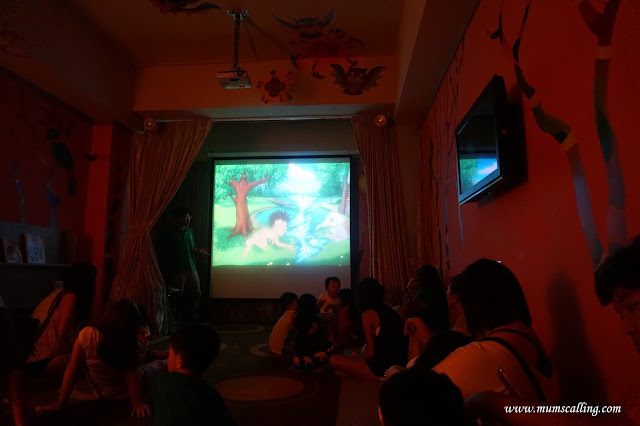 We did a Chinese Storytelling and origami session on our first evening, where both activities were free. That concluded our first day. Next day was animal feeding. 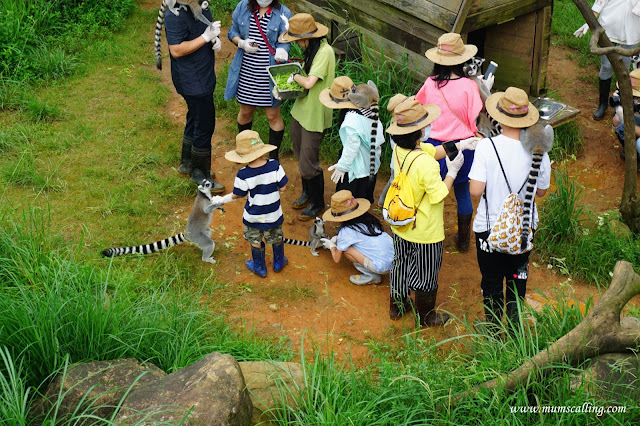 We paid for the kids to feed lemurs and goats! These were the saving grace that got the kids excited and made a memorable mark. About 45 minutes cab ride from Leofoo, we stopped over here because we met some local friends for a catch up. It usually isn't a place that attracts, but it does have a good share of tourists too. 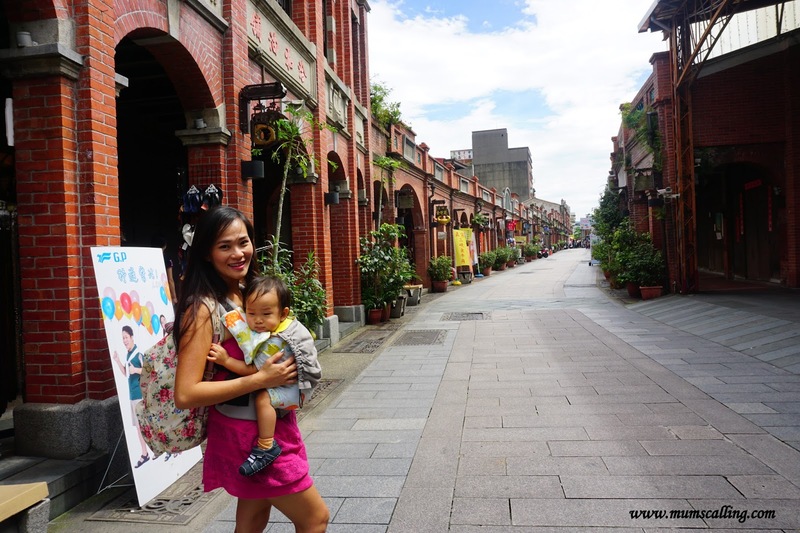 Sanxia is a traditional, suburban district in New Taipei City. 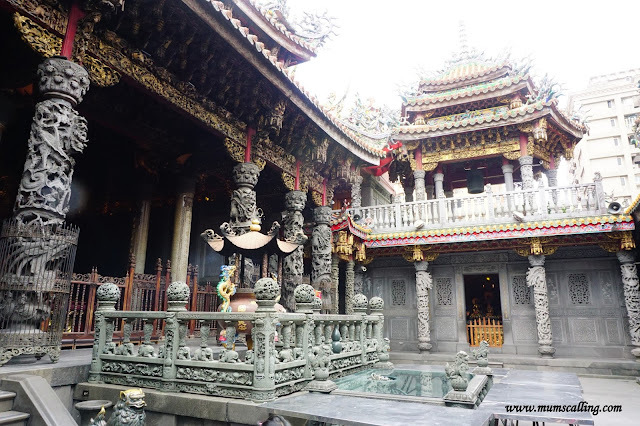 It is mainly known for its tourism street, known as Sanxia Old Street (三峽老街), and the Qingshui Zushi Temple (清水祖師廟, meaning Divine Ancestor Temple). 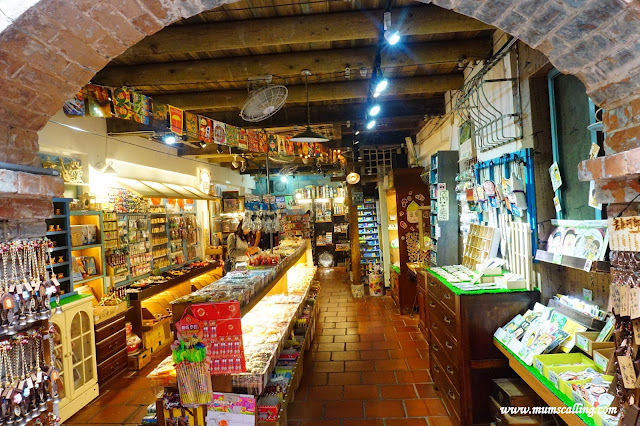 Sanxia Old Street (三峽老街) is a nostalgic and culturally rich street that was nice to stroll. It wasn't a very long street, so its one you can cover quite within an hour or two. Shops were interestingly of some old school toys, snacks, 毛笔 making etc. It was a nice place for us to stop over for lunch. 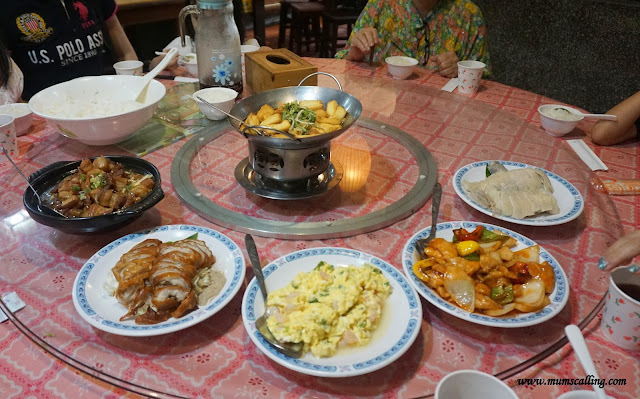 We lunched at 古井餐厅, where the food was good and much lowly priced than at Taipei City. And there really is a well in the restaurant. After lunch, our friends brought us for some dessert at 三峽阿宗芋冰城 and cow horn buns along the street. 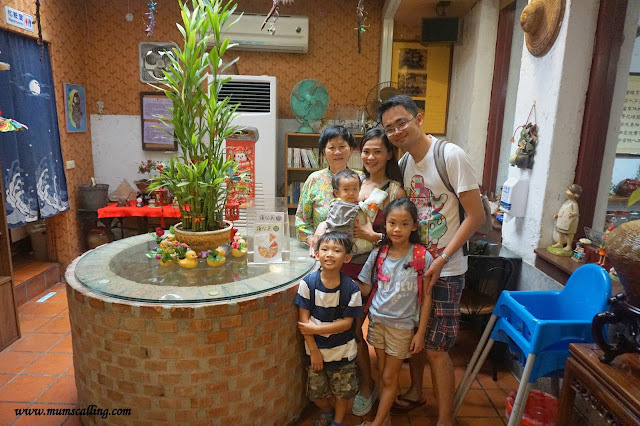 We had a taste of their peanut ice cream wrapped in popiah skin. It was sooo good! 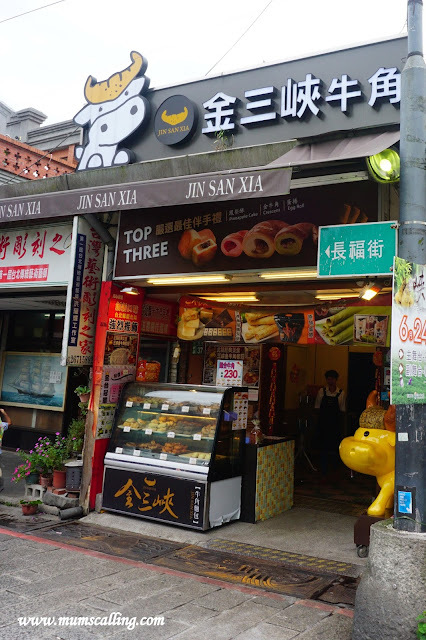 Do try their famous cow horn buns too, and this is the particular shop that our local friends brought us to. 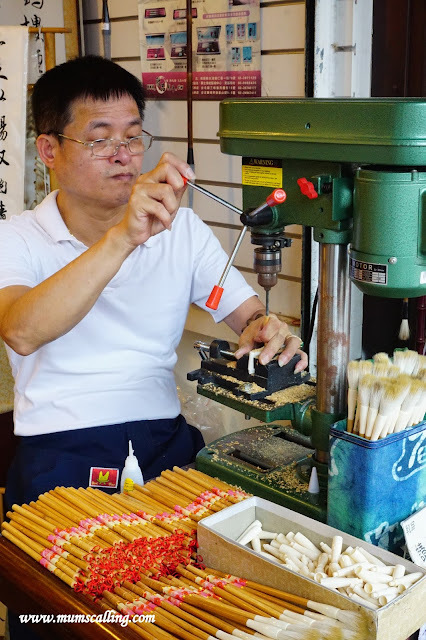 There are a couple of similar cow horn bun shops around, but this was highly recommended. The buns come in different flavours and were really yums to eat. Best eaten when warm. After all the adventures, we took a train back to Taipei, where we stayed a night before heading home, Singapore. With this, we complete our blog series on Taiwan travel. 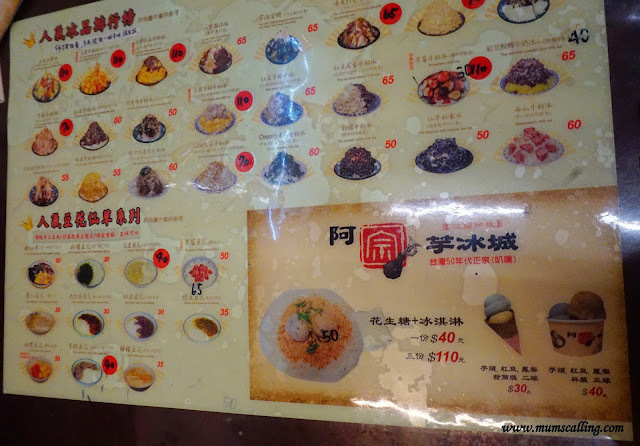 Perhaps, another one on Taiwan must eat. Not alot, but warrants a post! Subscription boxes are like surprises sent to the doorstep. We have recently received a kit of Starlight Box, 星月盒 from Under the Moonlight 悦.阅.月. 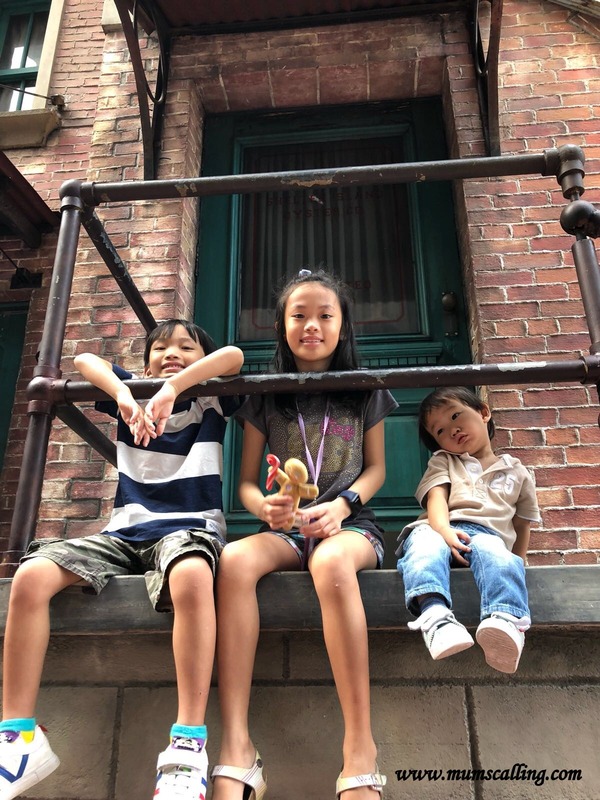 Under the Moonlight is founded by a trio of Mummies who started off as sharing their experiences and list of recommended Chinese books that their children have read and enjoyed with one another. From there, they mooted the idea of sharing ideas with more parents on a bigger platform simply because they know there are some parents who are always on the lookout for something fun yet educational to ignite our children’s interest in the Chinese language. 星月盒 (Starlight box) is crafted for primary school children between 7 to 9 years old. 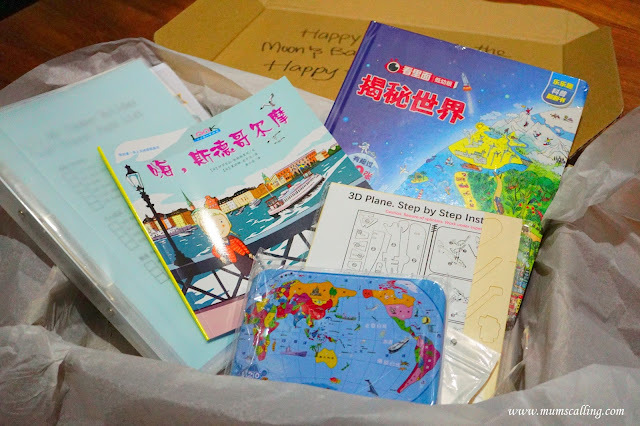 They have another box, 小月盒 (Lil Moon box) for preschoolers between 4 to 6 years old. It is a delightful box of books and educational goodies, carefully curated for every child's age group. It comes with a different theme every month and the one we received was themed 'Around the World.' That's the theme for November. When we received it, I thought we would be only unboxing books, but it was more than a surprised to find complementing fun materials along with the books! As I went through the books and materials, I was impressed. Impressed at the scope and items thoughtfully crafted to ensure that language learning is absolutely fun, exciting and easy. 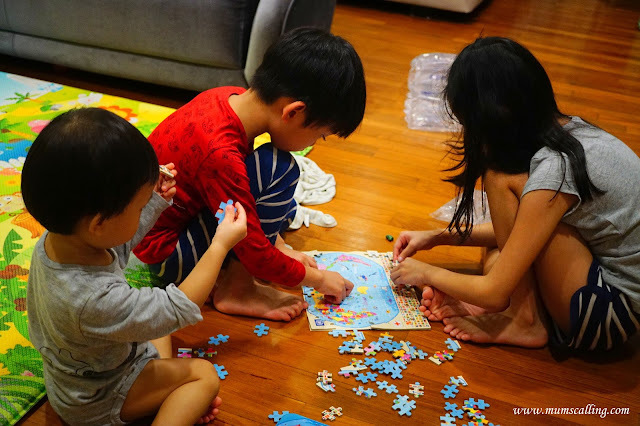 It is not one that keeps the kids meaningfully occupied for a short moment, but one that keeps them occupied for days. Books are gifts that can always be opened again and again. 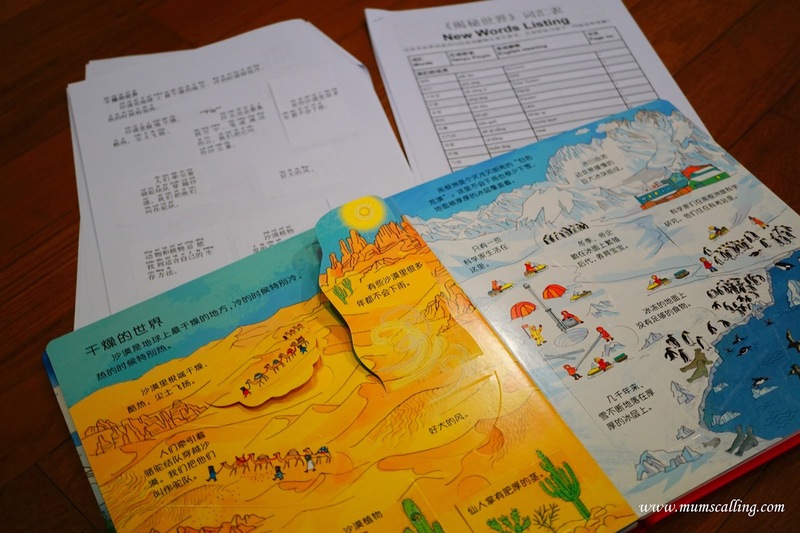 You know its some good language stuff when you know Under the Moonlight works with educator partners with a belt of experience as a Chinese teachers, as well as an author of many Chinese assessment books. 1. 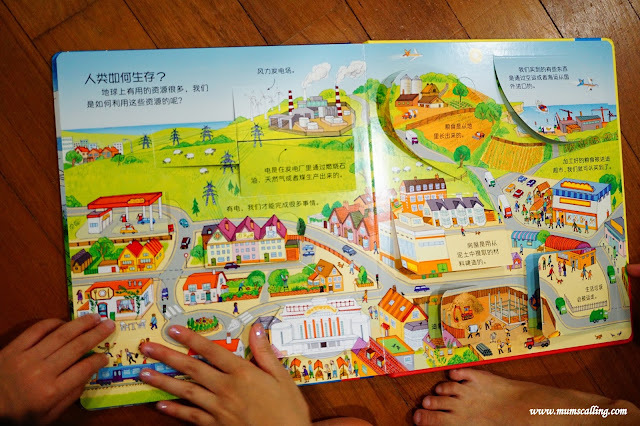 Two books to the theme, 'Around the World' - 揭秘世界 and 嗨，斯德哥尔摩. 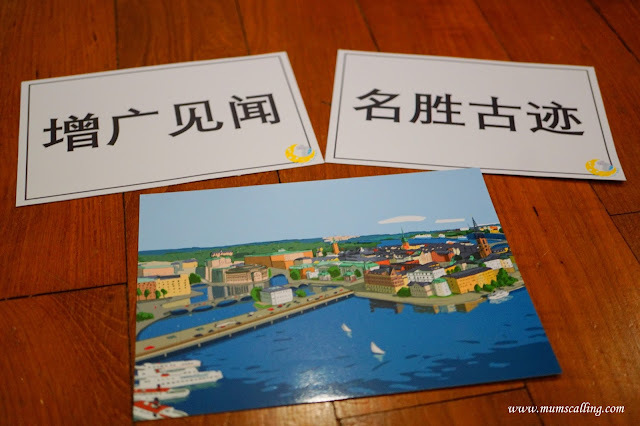 (斯德哥尔摩 means Stockholm). 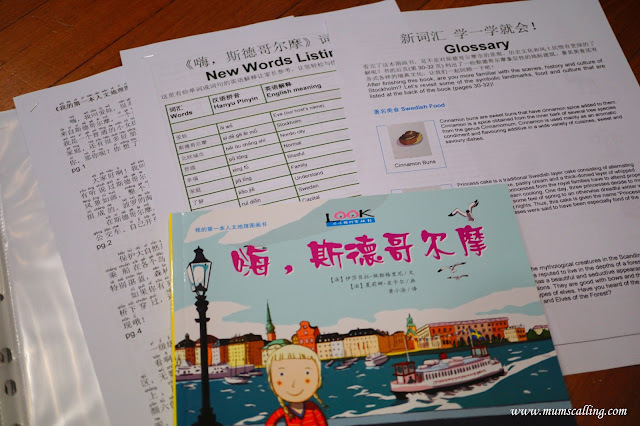 These books do not come with Hanyu Pinyin, and I am impressed that the stories have been copied and printed out separately on papers with hanyu pinyin to ease reading. 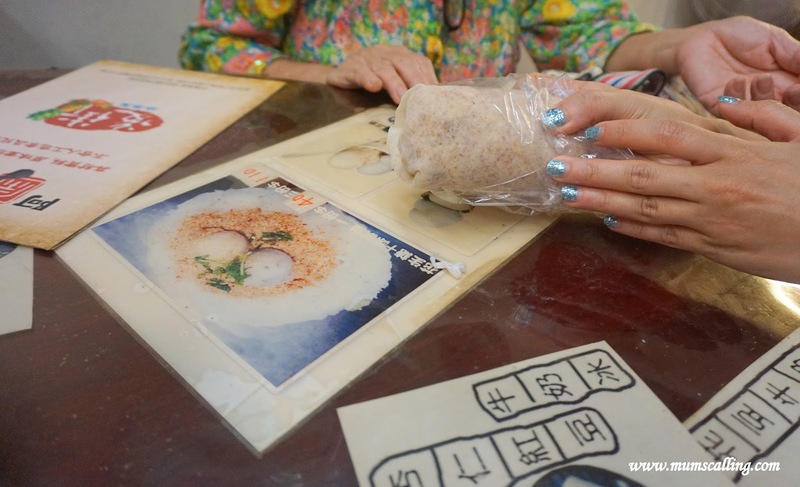 It's very often that we stumble upon words when reading in Chinese. This initiative helps greatly! And there are even lists of words that they have painstakingly put together with hanyu pinyun and English meaning. I really am wow-ed! Wow-ed by the efforts and passion they have in spreading the love for Chinese. What I did with Jazz was getting her to try read the book first, then we looked up on the words we stumbled on. For real! Okay, a storytelling session on audio. It comes with a usb for you to play anywhere and everywhere! Which you may save the files to your dropbox and play it from your phone wherever and whenever! The audio files are stories of the books, read and recorded for listening. 100% made and read by Singaporean (one of the founding Mama) with great tones and articulation. Being able to identify our local accent is a comfort. 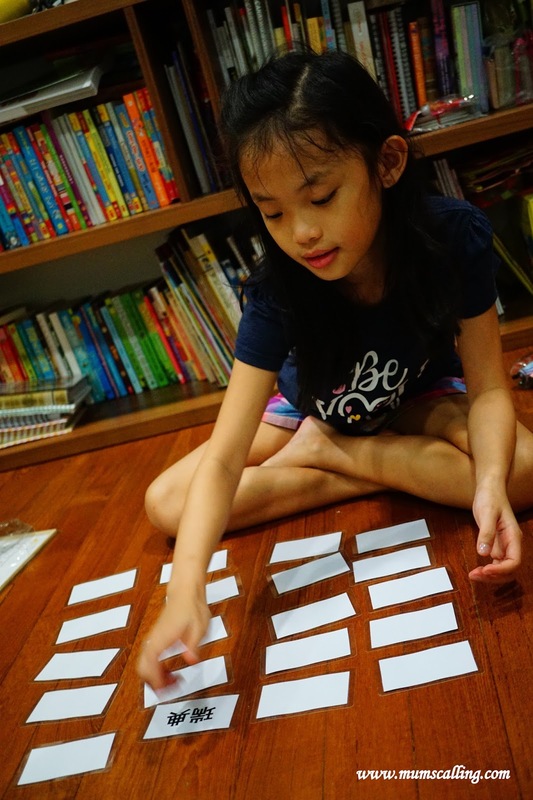 This craft activity is a diversion from the much intense reading and digestion of new words. I love that it is included to work not just the mind, but those little muscles of their hands. A set of memory game card based on countries. The kids had to pair the correct Chinese term to the respective country flag. It was quite a challenge for kids to know the various countries in Chinese! But when there's challenge, there's learning. I've to say I did learn something out of it too. A game chart inspired by snake and ladders. On this chart there are idioms which the kids will learn and explain the meaning if they land on that space. Word list of the idioms and meaning has also been thoughtfully printed. Dice and pawns included too! Notice too, the space of each move is numbered in Chinese characters. That definitely compelled the kids to read their moves. 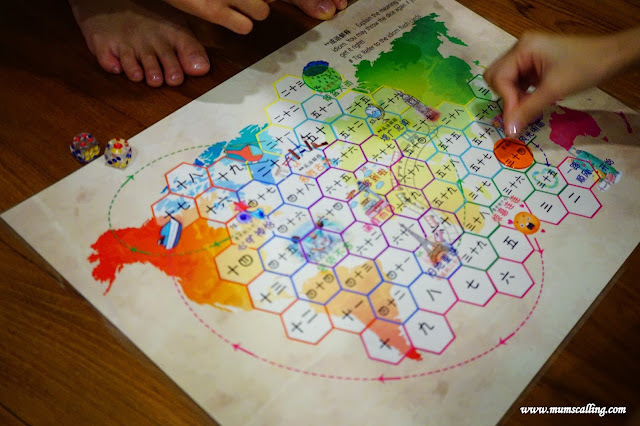 The kids had much fun fixing this puzzle of the world map. Another great activity to dilute the academic part, to make learning fun. But smart parents know we can do our lesson recap from this activity. Ask them about countries in Chinese! We also went through the map and talked about the places we have been to, in Mandarin! 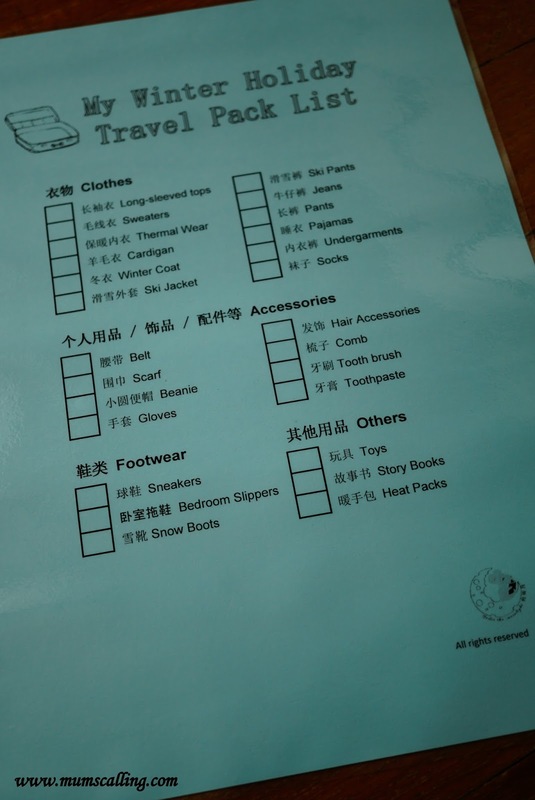 A holiday travel pack list that aids our kids in packing their luggage with name of the items in Chinese and English. The list comes laminated and you can simply use, erase and reuse for each travel. It was a pity that we travelled early before coming back to receive this kit. Oh well, we can always do pretend play! There are two themed idioms to help build their vocabulary bank. This month, according to the theme, the idioms are - 增广见闻 and 名胜古迹 . On the reverse of the cards, it comes with hanyu pinyin, explanation in English and Chinese, and even an example sentence of how to use the word. It is tough to not understand after reading it. A postcard that your child can write and send it across the seas. This is when I told the kids to imagine a friend of theirs in an English country, wanting to know the two idioms they learned. Tasked them to write and explain it in the postcard. It really is just a simple task of copy writing from the word cards. At least, it helps them reinforce their learning. We do have quite a range of Chinese books at home and here's what happens if you receive duplicates. While materials and teaching aids can't be exchanged, the books can! Customer minded, yay! Every month, subscribers will be pre-informed on what they will be receiving. Just don't tell the kids, so the element of surprise stays. So yeap, as a Mum who sees through every learning of the kids, this kit is really well thought with parents in mind. Parents who aren't specially strong or creative in teaching Chinese specially. It is a put together and made easy Chinese learning kit that you won't have to research or source elsewhere for additional information. It is good enough to start teach with just your first box. Each box is priced at $50, or $45 if you go for a 3 months subscription. Prices exclude $5 shipping fee. Do get hold of their January boxes soon! Before they get sold out. 3. Tag three or more friends whom you think will love this edutainment kit, in the comment section of this Facebook page. Giveaway closes on 21 December 2017, 2359 hrs. Disclaimer: A box was sent for the purpose of this review. All opinions are pictures are solely ours. Catch the Transformers at City Square Mall! From now till 17 Dec, transformer fans may catch Transformers live on stage at City Square Mall! It's Optimus Prime and Bumblebee to be exact, alongside with other delightful characters. 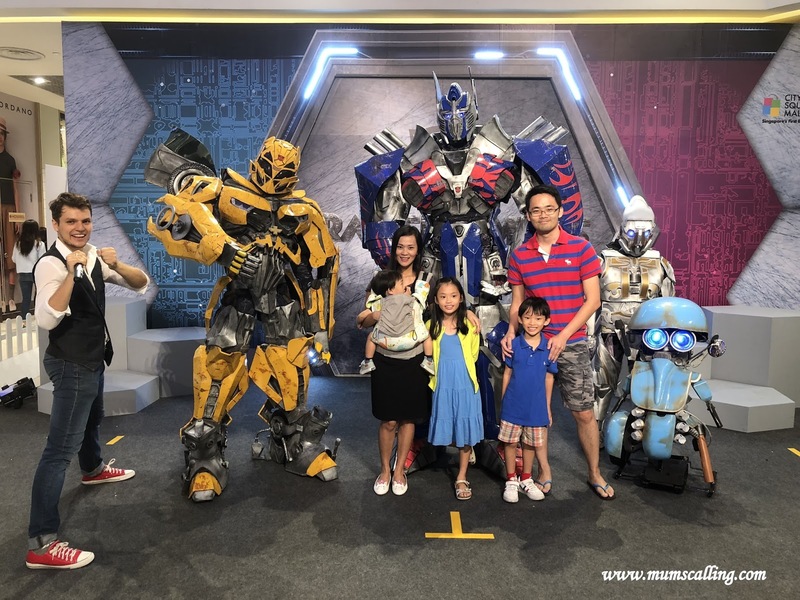 This Singapore-first's transformers live on stage is sure to send any boy squealing over the show. Plotted to transport the audience to Cybertron to witness the transformers' bid to save humanity, the 20 minutes action-packed show is worth a watch for any fan. We were most glad with the opportunity to come up close and personal with the autobots. And your chance to redeem a meet and greet pass is to simply spend a minimum of $50 at City Square Mall. Redeem pass 1 hour prior to the show. Limited to 50 passes per show. Together with the meet and greet redemption, you may also bring your child for a time of mask decorating after every Transformers on stage show! Alongside with photo opportunity in Optimus Prime and Bumblebee children's costumes. After much fun indoor fun, we preoceeded outdoor for some carnival dun. It will be a good time to visit the outdoor carnival in the evening when the sun in not scorching hot and when the Stellar Light show comes on. 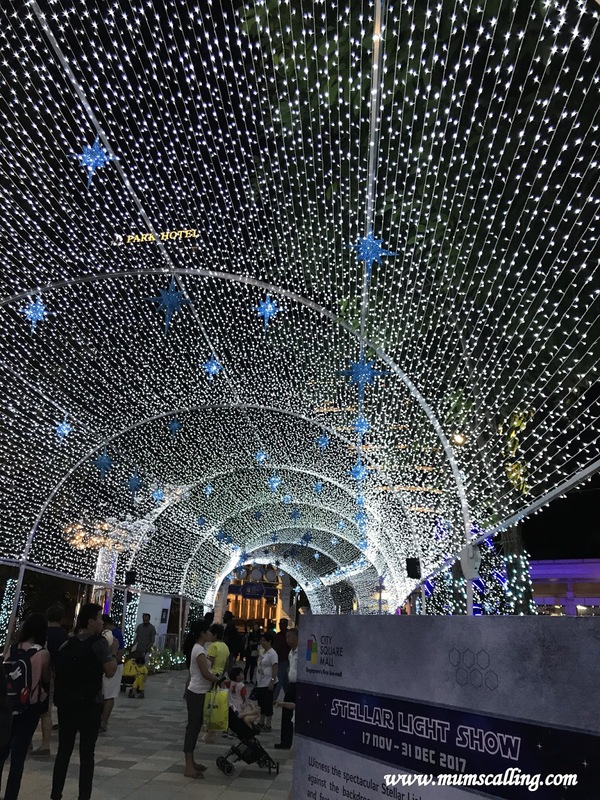 A 10 minute light show and music under a tunnel of star like lights! Experience a time of fun carnival like bumper cars, inflatable slides and shooting game. 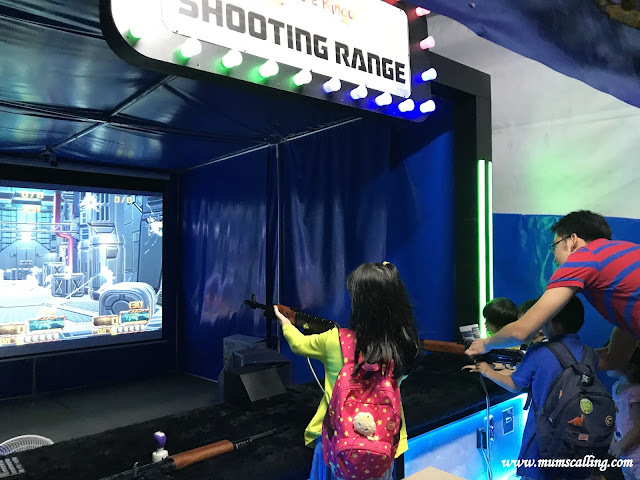 There are a total of 5 activities and activity pass is available for redemption with a minimum of $40 spent at the mall. Redemption at Level Customer service counter. The magic of Christmas is in snow! Machine made foam included. Christmas simply is not Chirstmas without carols! City Square Mall sounds like a definite place for dining and shopping this season. 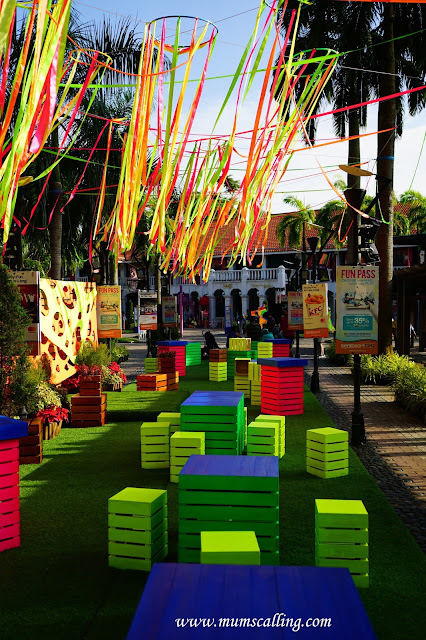 After getting each dining and shopping receipt, redeem your meet and greet, as well as activity pass for the kids! Nice deal we thought. Disclaimer: Media Invite. No moneteray compensation given. 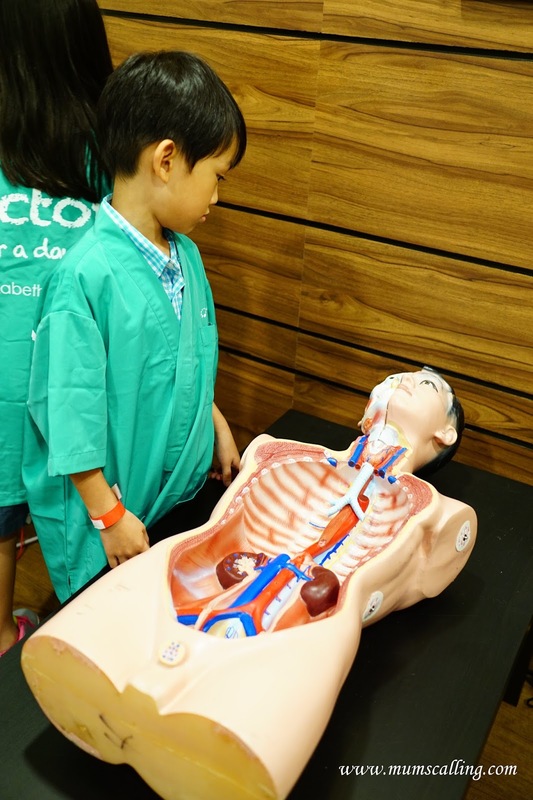 Doctor For A Day is back with a clever twist. 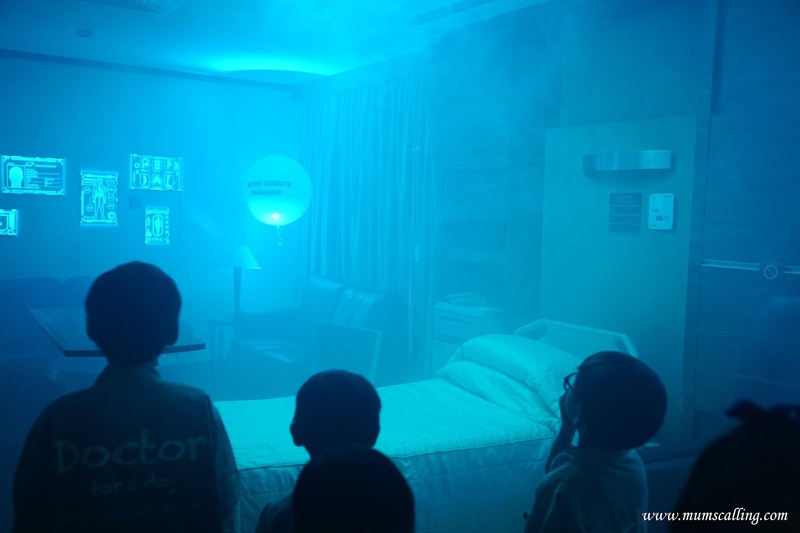 Unlike the ones ran previously, Doctor for a day 2017 is bringing you the first ever escape room experience in both Mount Elizabeth Hospital and Mount Elizabeth Novena Hospital. 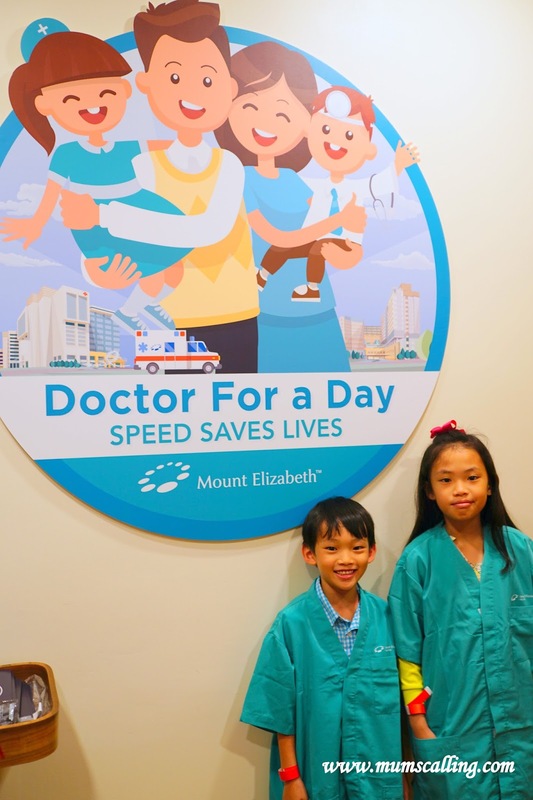 Tag line - "Speed Saves Lives", this escape room is formatted where children and parents work hand in hand in a race against a countdown timer to solve medical puzzles, crack codes and piece everything together before finding the solution to save a patient's life. 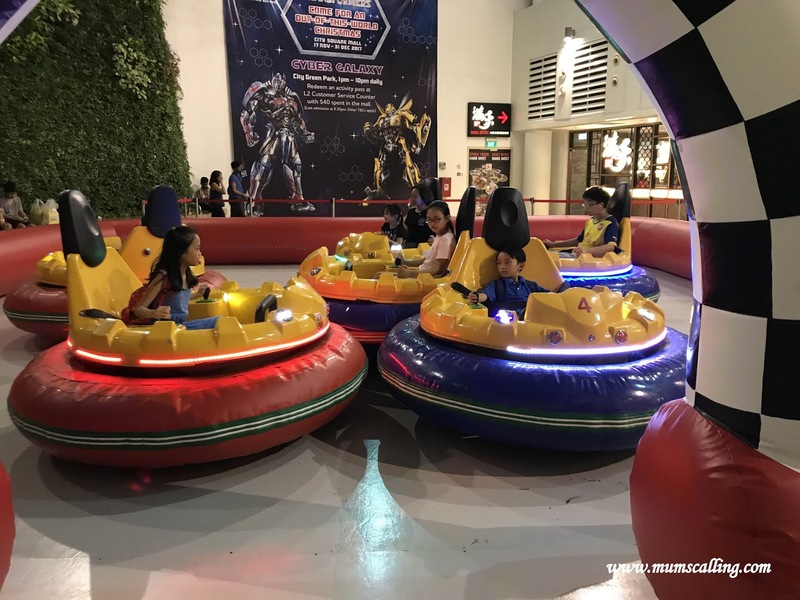 Simply form a team of 8 (4 adults and 4 children) with your family and friends for a maximum fun experience. If not, a minimum of 6 to participate (out of which, 3 should be children). 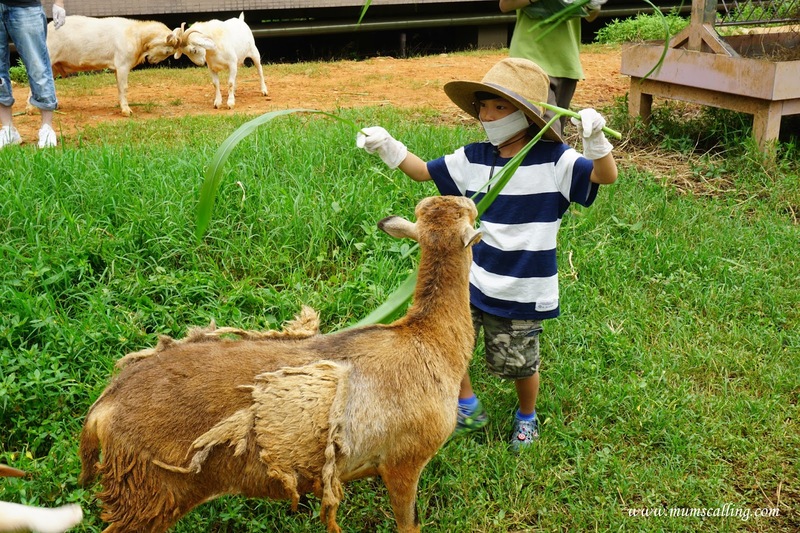 This event is designed strictly for children aged 6 to 14. It is one family challenge filled with intense brainwork and interactive elements. There are 2 parts to this challenge, the first being played off at Mount Elizabeth and the second continuation at Mount Elizabeth Novena. Transportation will be provided to Novena and back to where you started. The whole experience will last for approximately 90 minutes. 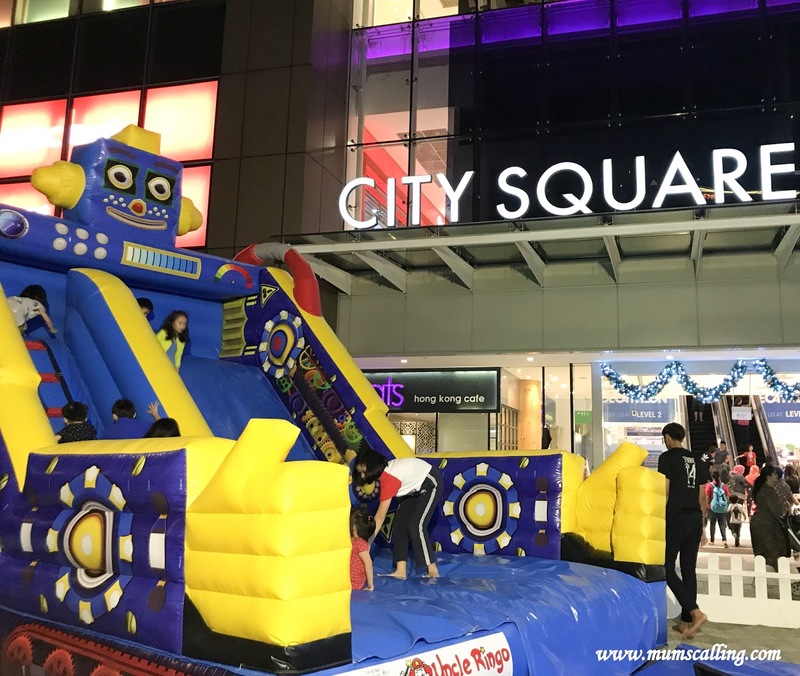 We were most happy to get a go on this thrill together with Olimomok and Life is in the small things. With ours kids, we formed a team of 9, 3 Mamas and 6 children. We definitely can solve puzzles and crack codes without the men too! You'll be surprised at how our kids can outdo us. We started off with putting on our scrubs, listening to instructions and getting to work by placing all the organ parts of a dummy back into its body. We were also given an ipad for retrieving instructions throughout the play. Upon completing the body parts, we retrieved a key to the escape room! Where we were welcomed by a surge of mist, it feels a tad spooky but that's the kind of signal it sends to get us crack codes seriously fast. No foul play. In this room, we managed to cracked the codes within the time given. 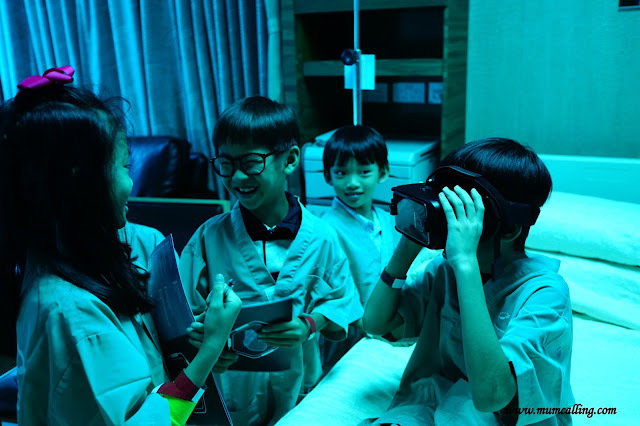 We had to track symbols, get on a virtual reality tour and gather clues to diagnosing our patient. There was only a set of virtual reality headset for view, it's good that the group is kept small so it can be passed around for different user experience. We were glad to have some left over time for viewing too. The game doesn't end upon escaping this room. 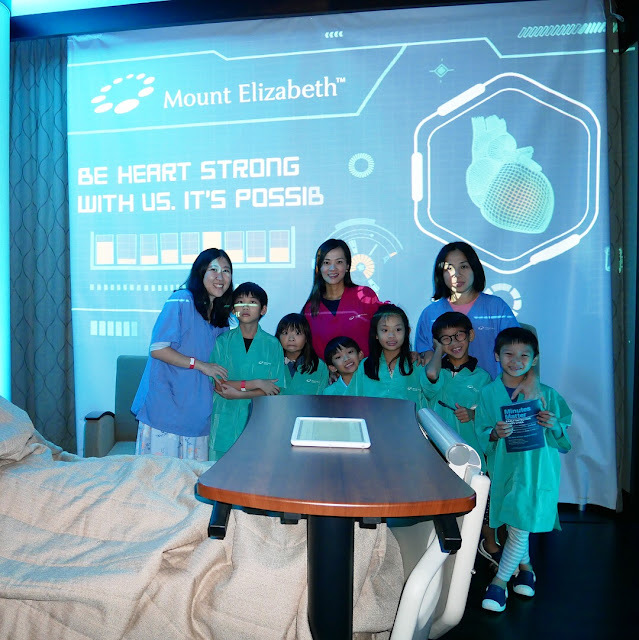 After escaping, we got on a 'space shuttle' and got 'teleported' to Mount Elizabeth Novena. It was another room where we had to solve puzzle to get the key to another room. Clues upon clues, we found our patient in the toilet and managed to get the right diagnosis for him. And yes, we did it within the allocated time! You can tell, it's a very much different spin from the previous Doctor for a day and Hospital Land. This edition inputs lesser medical element compared to the past. There is more thrill factor this round, and by allowing parents to participate, it takes that family teamwork to a whole new level. I could further observe the personality of my kids when working with other children. They were more of a follower than leader, and they knew teamwork was the key process things quicker. I would say it really is more fun to get into this game with family and friends. It was nice that our team is completed with people we are familiar with. 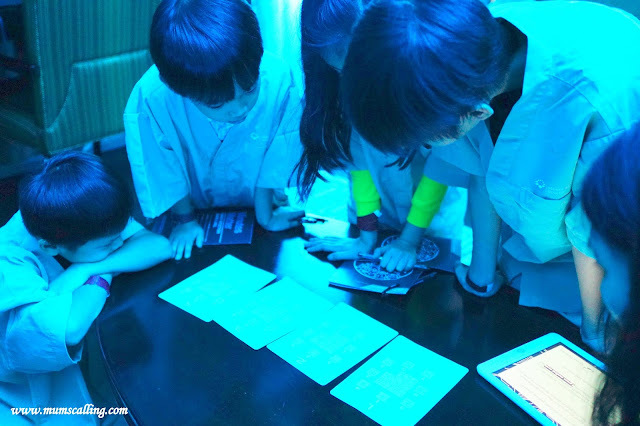 This series of escape room concept is not one shabby planning to tease adults and children, but one that is professionally designed and catered to really work the brain. We felt that the first room was more challenging than the second, but it really wasn't too difficult. It only needs a little more thinking amidst of squealing children. It's just too exciting to keep children calm. Not to worry, there are co-coordinators in the room to assist. Which I think they give hints a little too quickly. Our kids may have to beat them in speed. So yeap, Doctor for a day is up for registration here. As as now, slots have been sold out for 16 and 17 Dec. More slots will be opening up, so stay tune! 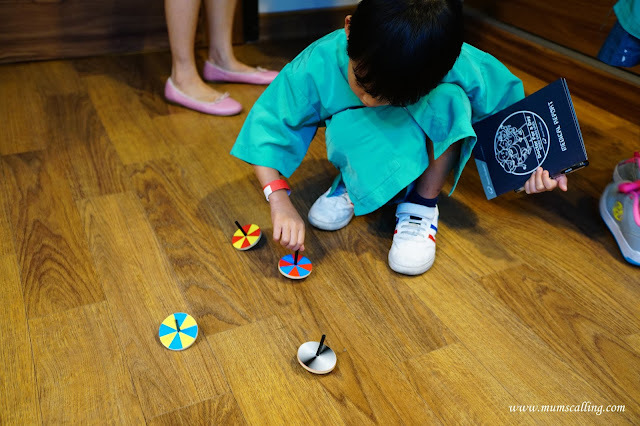 Disclaimer: We were invited to experience Doctor for a day at no monetary compensation. All photos and opinions are solely ours. 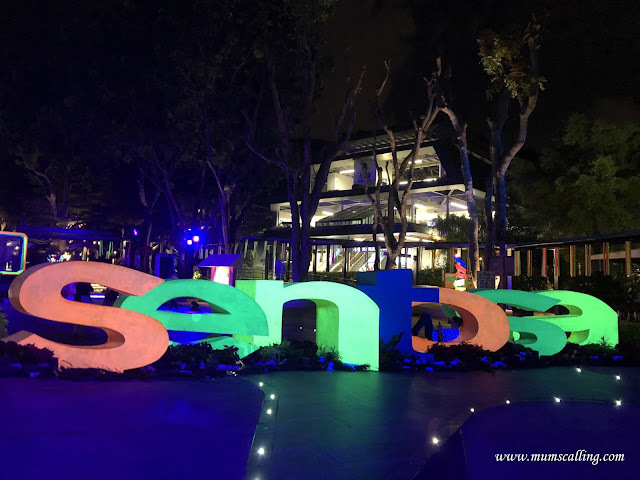 Bright Nights at Sentosa is a series of exhilarating after-dark activities that brings the island's diverse array of offerings to life at night. 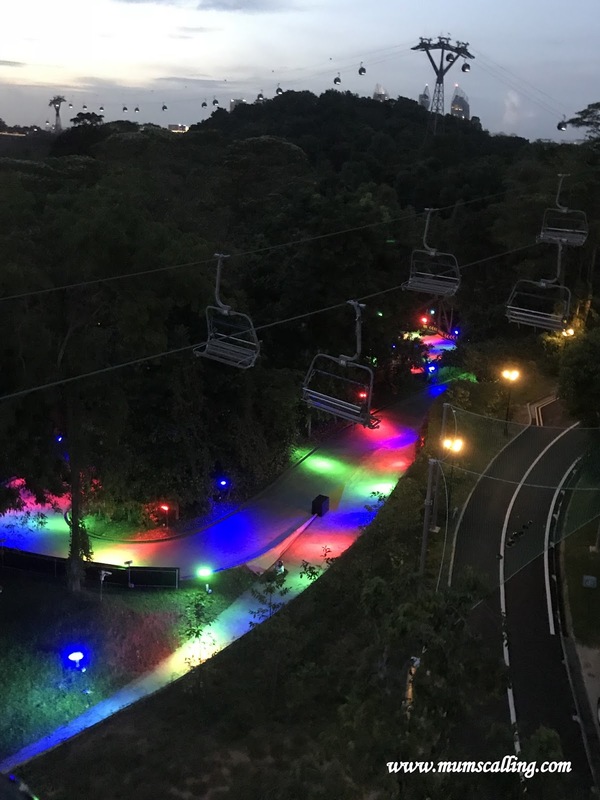 Taking place from now till 01 Jan 2018, this pop up night 2 (The first run was in September this year) showcases some UV neon art installations by local artists at Imbiah Lookout. Just some flights of escalators up from the Merlion. These neon light installations and activities sprawled across the Imbiah lookout include some gazing unicorns, house of Gnomes and Glow Yarn art. 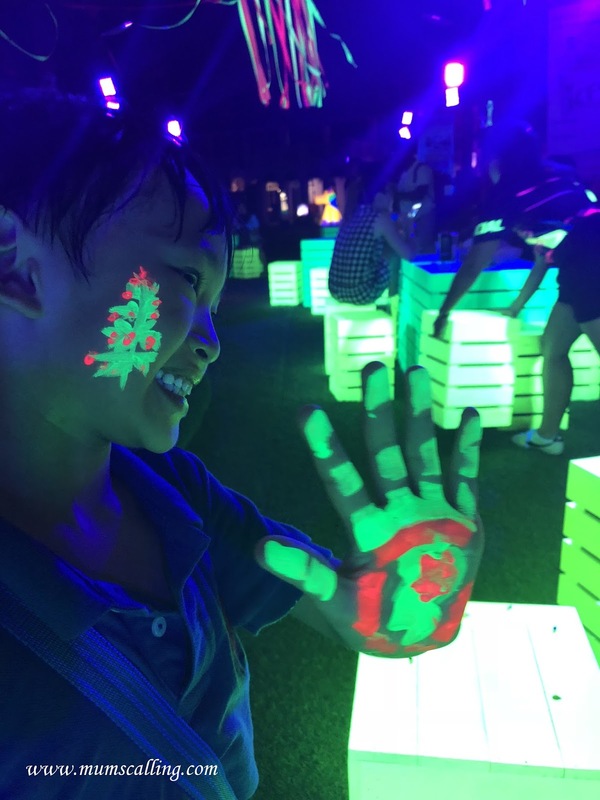 The clever optical installation partnered with other DIY glow activities like face painting are bound to send kids crazy. At least mine were crazily painting to make themselves glow! 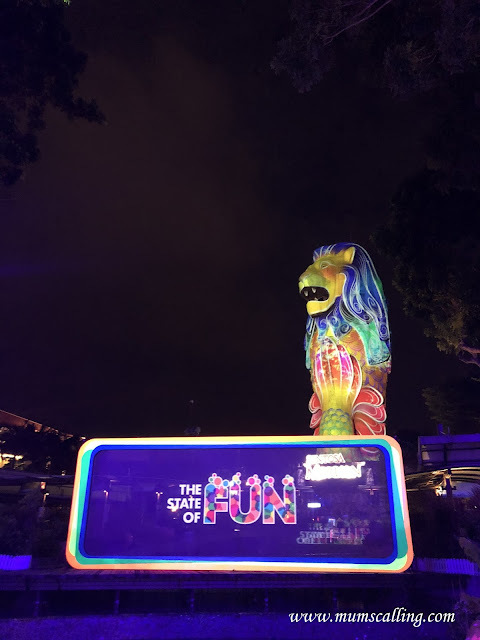 The bright night doesn't end here, continue to follow the glow with the Merlion Magic lights at Merlion Plaza! 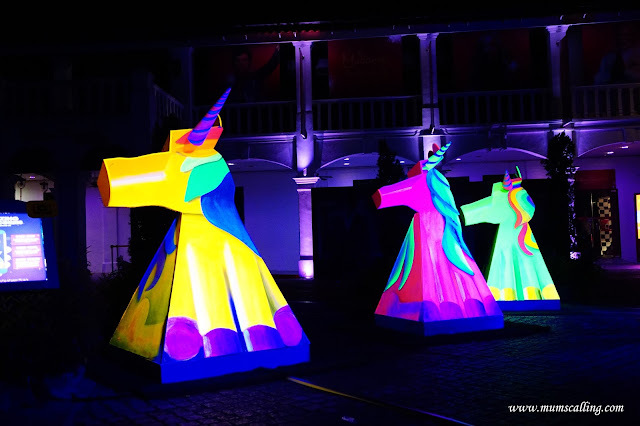 Where the 37 meter tall mythical creature comes to life with groovy themed projections. 5pm: 4D Adventureland. Where we caught three interactive rides - Journey 2, Extreme log ride and Desperados, where we all hopped on to individual motion-based saddle seats and be equipped with a motion-sensor gun for some competitive shoot-out video game action. And yes! I could get on all rides with Juboy in tow. 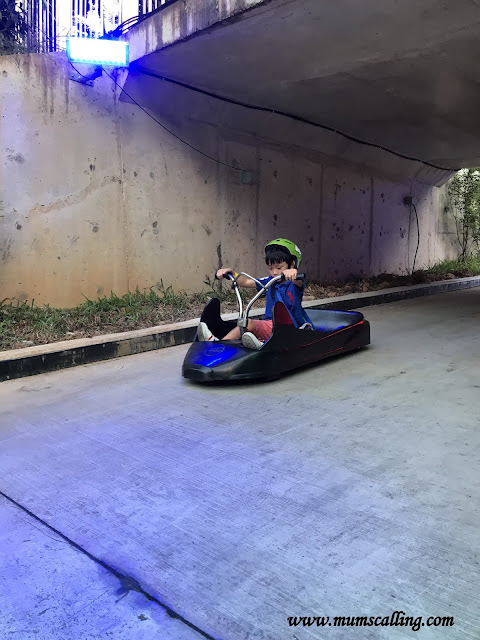 6pm: We moved over to Skyline Luge! Yay to fast and short queue on Sunday, and yay to two newly added trails - Expedition and Kupu Kupu. Only problem, I am not quite liking the skyride, it sends my legs to shiver. Great view nonetheless. And this round, Jare is tall enough to go on his solo ride. We did 3 rides before proceeding for dinner. 7:30pm: Dinner at Good old days. Familiar and comforting taste of local fare. It was a convenient stop after Luge. 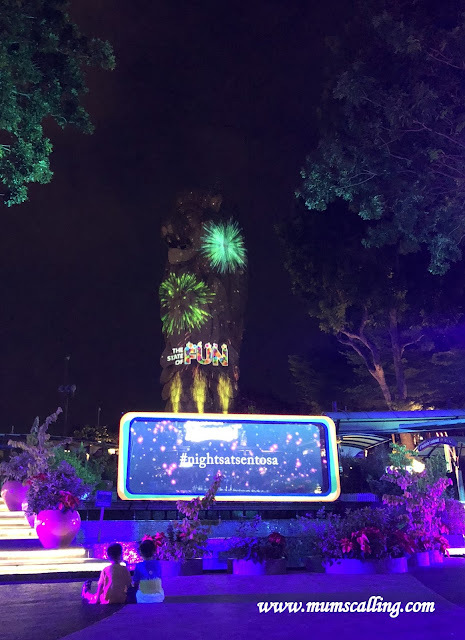 8.45pm: We caught the Merlion Magic Lights. 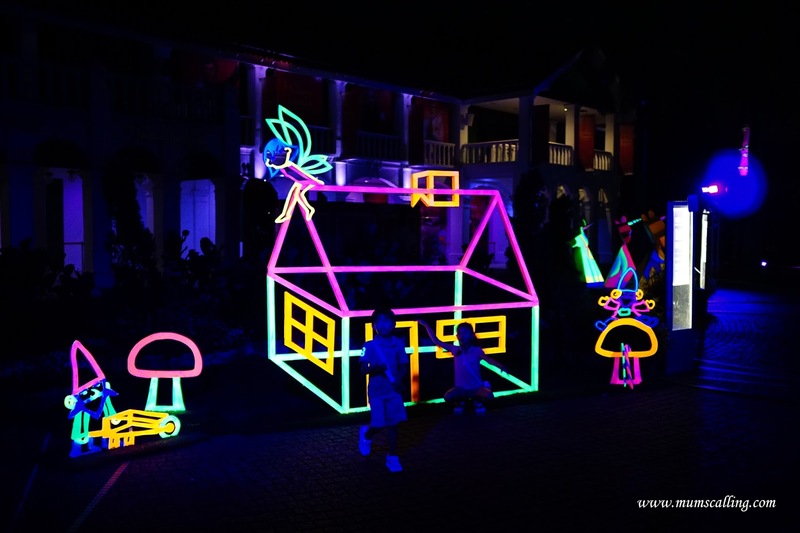 A short light show with stunning animations. 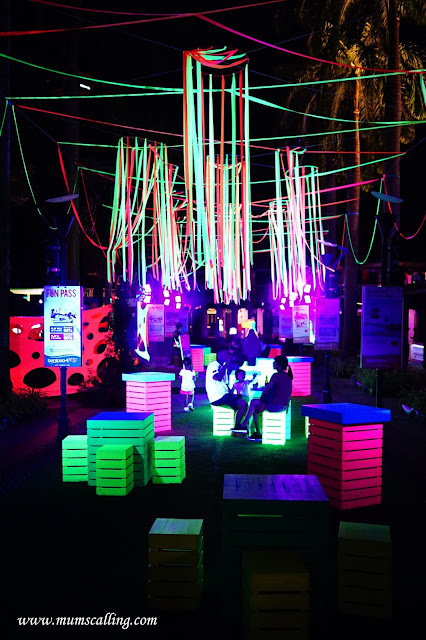 9pm: We moved up to enjoy the neon light installations, took a drink by its 'bar' while kids painted themselves with glow paint. Here's a view of before and after sunset. 9.15pm: Hopped onto the last cable car ride and ended our night! It was a light and easy evening at Sentosa! There is more than what you think you can explore in #thestateoffun. These neon lights give a nice wrap to the day at Sentosa! You've got a date sorted out this holiday!